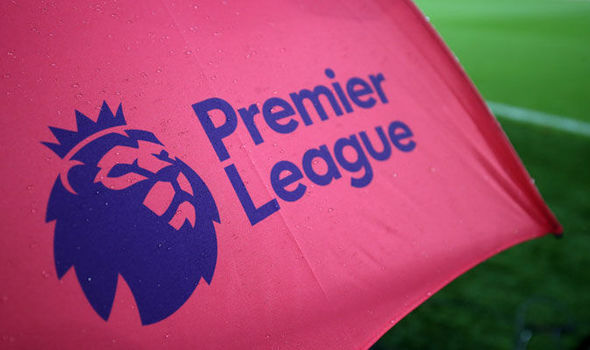 The imminent return of the Premier League provides literally thousands of betting opportunities for punters every game week. For many though, the most exciting part of the start of the season is the chance to get involved in the ante post betting. Some shrewd moves in the market early on could see you win big at the end of the season or earlier if you decide to use the bookie’s cash out options to lock in some profit. To help mark your cards for the nine months of football ahead, we’ve gone through the main ante post markets and made our pick of the best bets. 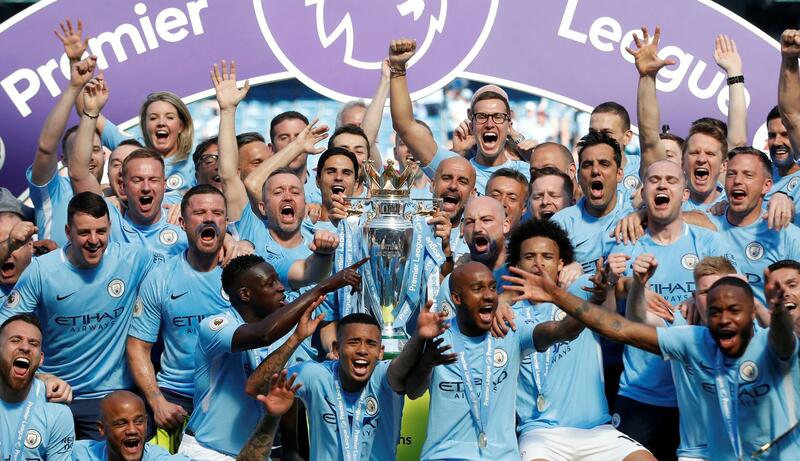 Man City players and staff celebrate winning the 2017/18 Premier League title. Man City finished miles ahead of the competition last season. Pep Guardiola’s men broke the 100 mark in terms of points and goals and only dropped points in six matches. When you consider that Liverpool, the second favourites in the Premier League outright market, dropped points in 17 matches last term you see just how big the gap is between City and the chasing pack. On Liverpool, we believe that they are well worth their position in the market at a best price of 4/1 with Bet365. The Reds were always playing catch up after a poor start to last season but by ending Man City’s unbeaten run in the league and then beating them in both legs of their Champions League semi final, Liverpool really threw down the gauntlet. Jurgen Klopp has made some very astute additions including Brazilian number one, Alisson, and the midfield pairing duo of Fabinho and Naby Keita. Providing Liverpool are able to hit the ground running and stop dropping silly points they should push Man City harder than last season. However, the Citizens will take some stopping at 8/11 with Ladbrokes. If you are bullish about Liverpool’s chances, you could back them each way at 4/1 with Bet365 or perhaps consider the Man City/Liverpool straight forecast which is 7/2 with Unibet. This time 12 months ago many pundits were making the case for Everton breaking into the top six. However, we ended with the view that the Premier League is divided into the top six and the rest being solidified. The bookies’ odds suggest that Everton, Wolves, Leicester and West Ham are the teams most likely to make the breakthrough but the most exciting battle looks to be between the top six. We think Man City and Liverpool will be the top two which leaves just two Champions League spots for Man Utd, Chelsea, Tottenham and Arsenal. There is a great deal of uncertainty about Chelsea and Arsenal as they both have new managers. That’s nothing new for Chelsea given the revolving door policy that seems to operate at Stamford Bridge but could be a Maurizio Sarri a cracking appointment. It’s very different at Arsenal as Unai Emery becomes the club’s first new manager in 22 years. We should finally know whether Wenger was holding the Gunners back or if he got the best out of an average squad of players. Either way, Arsenal have the most work to do so Chelsea look the pick of the two to finish in the top four at 8/11 with Betfred. This is also a big season for Man Utd. Jose Mourinho continues to be a polarising figure at the club and a poor start could well spell the end for his time in charge. His lack of support contrasts significantly with Mauricio Pochettino at Tottenham. This talented young Spurs squad may miss out on the silverware they’re so desperate for but they’ve finished third, second and third in the last three seasons. There’s no reason to suggest they cannot improve even more so back them for a top four finish at 8/11 with Paddy Power. Neil Warnock worked wonders to get Cardiff promoted. Can he now keep the Bluebirds in the Premier League? Last season’s relegation battle didn’t quite come down to the final day but as many as 12 teams had real fears about the drop and the relegation market is sure to be volatile once again. That predicted volatility means it’s worth ignoring Cardiff at odds on. 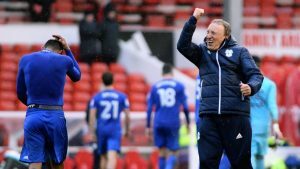 Neil Warnock’s team know exactly what is expected of them and no opposition team will look forward to their trip to the Welsh capital. The same won’t be true of teams making the trip to Huddersfield. The Terriers did a great job to stay in the top flight last season but it’s going to be even tougher this time around, especially as the euphoria of that first Premier League season is over so back Huddersfield to be relegated at 5/4 with 888Sport. This season is also likely to be a tough one for Watford who are 2/1 to be relegated with Bet365. The constant chopping and changing of managers at Vicarage Road means that a slow start could well spell the end for Javi Gracia leaving the next man with have a hell of a job to save a mish-mash squad that lacks cohesion and quality. After their battle for the Golden Boot last season, Harry Kane and Mohamed Salah have both been well backed in the Top Goalscorer market. Injury worries about Kane and the amount of special attention that Salah will get could mean that it pays to look beyond the top two in the betting though. The two players we like the look of at bigger odds are Alexandre Lacazette (25/1 with Sportingbet) and Roberto Firmino (28/1 with Bet365). Lacazette only shone in fits and spurts during his first season at Arsenal but increased familiarity with his surroundings and a burning desire fuelled by his omission from the French World Cup squad could see him hit his stride. As for Firmino, he has nailed down the main striker’s role at Liverpool who were second top scorers behind Man City last season. Both players took penalties for their teams during the last campaign so look like good each-way value.